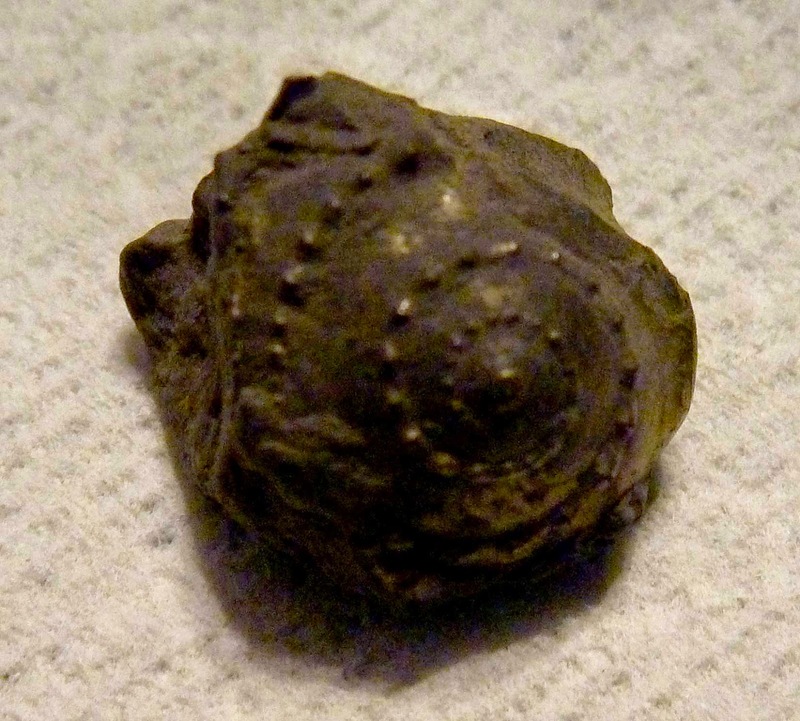 This gastropod fossil is interesting as it pyrite embedded in a dark shale. It appears to be a Trepospira. It was found in a coal mine at a depth of 60-250 meters. My identification source is Fossils of Ohio (Bulletin 70, Rodney M. Feldmann Editor, State of Ohio, Department of Natural Resources, Division of Geological Survey, Columbus Ohio 1986) pages 162-173, figures 13-14 of specimen from Putnam Hill shale (Allegheny Group, Pennsylvanian) south of New Philadelphia, Tuscarawas County Ohio, OSU 46720.